The city of Seoul is electric; a metropolitan stage for youthful, inquisitive fashion more concerned with confronting Confucian values than feeding fleeting trends. ‘Korean designers are bold. Unafraid to break barriers and conventional stereotypes,’ says Selfridges women’s designwear buying manager Jeannie Lee. 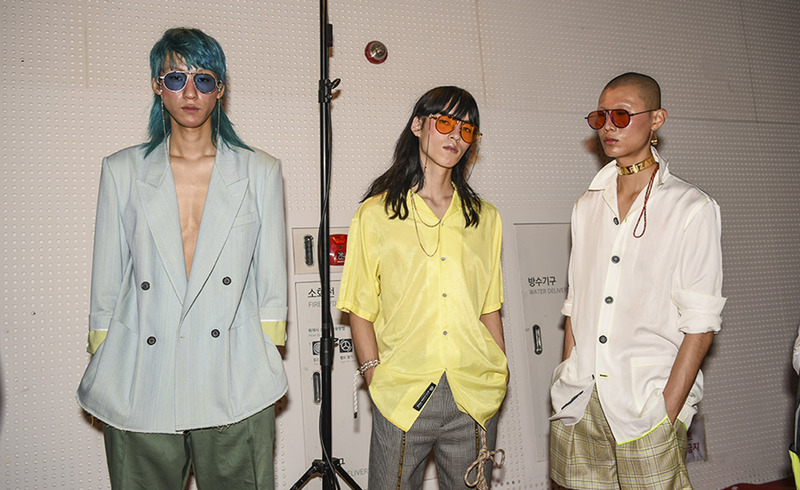 ‘Korean fashion has an energy that is highly creative, rebellious and exciting.’ The prevailing mood at S/S 2018 Hera Seoul Fashion Week last month was un-gendered, un-filtered and un-uniform; revelling in a quest for what’s next. 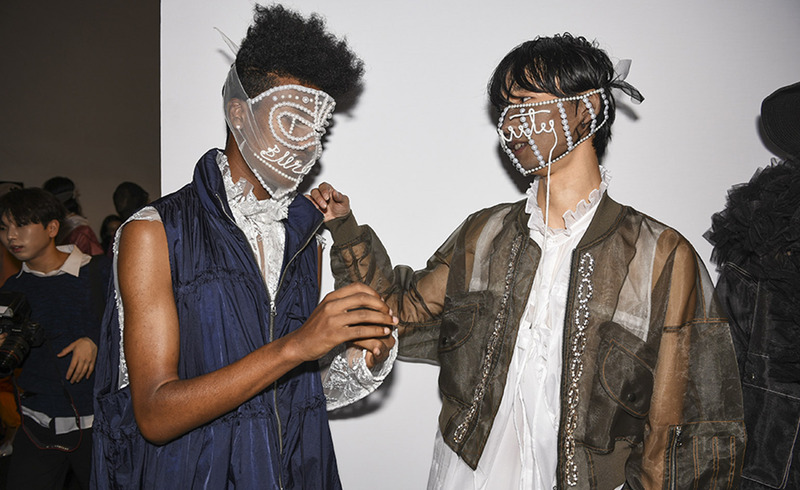 Despite the global proliferation of everything K-style – from gold facial sheet masks to surreal multi-boy/girl band pop – Korean designers are largely underrepresented in the West. Until now. This month, Selfridges is playing host to a pop up featuring ten Korean labels in the store’s Designers Galleries atrium space – the first time many of them have been on sale outside of Asia. ‘Now they are open to the global market, they have to be a global designer,’ says the executive director of Seoul Fashion Week, Kuho Jung. Since taking on the role in 2015, Jung’s vision has been to expose his country’s design talents to the world: ‘They have to look at their work from a global standard. They have to work even harder.’ A veteran designer of his eponymous label, Jung is also a vice president at Fila Korea and a consultant on the upcoming 2018 Winter Olympics. His approach is egalitarian. In the spacey, neo-futurist atrium of the Zaha Hadid-designed Dongdaemun Design Plaza, every evening DJs played a mix of electro and dance hits to a milling crowd. Does luxury fashion become more egalitarian thanks to a high-definition live stream or a free branded tote-bag? Globally, fashion brands are busy cosying up to their consumers via lurid social media campaigns or gargantuan travelling exhibitions. Yet in Seoul, the shows – with their glossy front row guests, the paparazzi, the frenzy – created a buzz that Jung is passionate for everyone to feel. Every fashion week, the public can sign up online for tickets so that, ‘the next generation can learn about fashion’. This is fashion boot camp. At Bourie, cuffs were sliced away on shirt dresses; the louche shirts and trousers of Low Classic had a more European élan. Chang Kwang Hyo hacked off short sleeves, tacking them onto sheer sports tops at Caruso; at Pushbutton, a trench had a shirting back. These clothes were representative of an undoing of formality; the unfurling of traditional values. Everywhere you turn someone is taking a selfie or using their phone to broadcast their day to an unspecific audience. This isn’t a predicament unique to Seoul of course, yet the colossal value placed on image and self-improvement has created a rich, if bumpy, terrain for designers to navigate. Korean fashion as we are now seeing it has only been around for the last 30 years or so. It was in 1988, the same year Seoul held the winter Olympics, that Madame Woo – the designer behind the venerated Wooyoungmi label – noticed a yearning among fashionable young Koreans for clothes with a more global style. A flood of luxury stores began to open across the city, bringing a more western outlook to what Woo describes as an incredibly conservative society. The work of KyuYong Shin and JiSun Park – the discreet couple behind the buzzy label Blindness – is perhaps the apex of this new Seoul style. They made the 2017 LVMH Prize shortlist with a dynamic approach that fuses queer contemporary politics with racy club culture: clothes for a less binary society. Their brand of millennial gothic romance, using pearls and lace with parachuting and wool, is sold at Barneys New York, L’Éclaireur in Paris and Selfridges in London. Madame Woo was front row at their latest show: ‘It was such a pleasure to see a duo express their own identity and not necessarily changing to what society says will sell,’ she says. ‘That’s my advice to all young designers no matter where they are – always focus on yourself and what you want to design. Accept that you will be exhausted, but always try to get some rest.’ After all, the party is just getting started.